Every mediation I do is about people, and I learn something everytime. This month one couple worked out an agreement that I found unfair. As you know by now, it is your divorce and your agreement. However I have made some personal decisions about fairness. 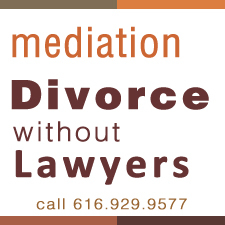 If I have an issue with your agreement, I will make sure you have all the information you need, and if timing is a problem, we will reset the mediation. Please know the mediator’s job is not just to sit and listen, it is also to make sure everyone involved has a fair shot at a fair deal. I am showing my age by repeating what my mentor said in 1985, when I was a rookie lawyer. His comment was “If it ain’t fair, don’t sign it, no matter who we represent, just don’t sign it”. Stuff! It is just stuff!